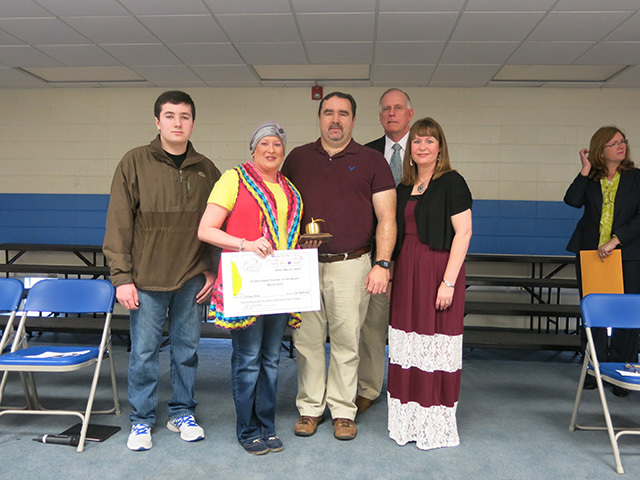 QUITMAN — Not even a devastating bout with breast cancer can take the smile off Chrissy Kelly's face when it comes to teaching her students Latin. 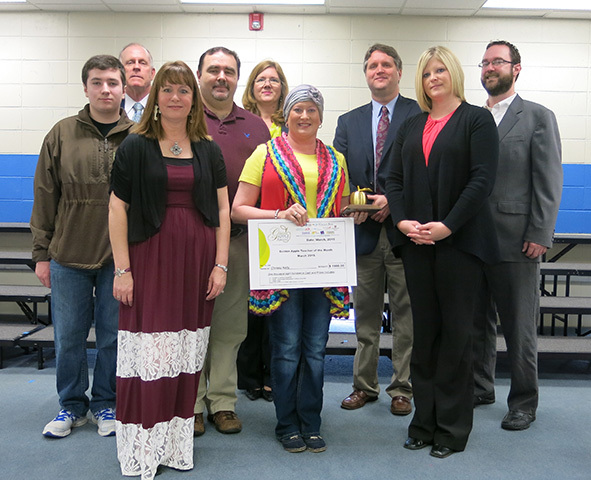 Kelly is the March winner of the Golden Apple Award. 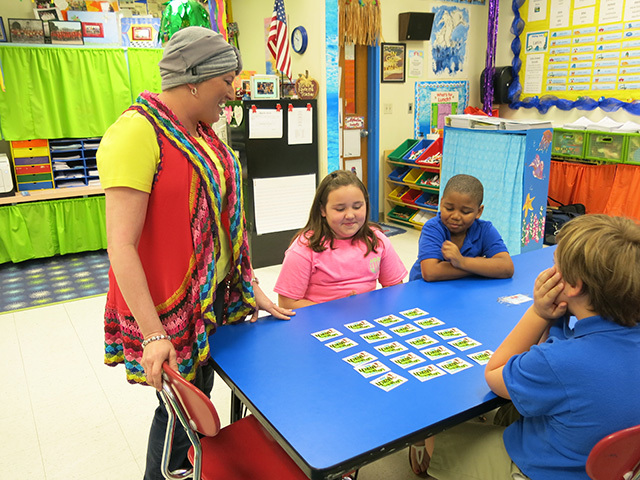 She is a 19-year teaching veteran and for the past nine years has taught Latin to first and second graders at Quitman Lower Elementary and to students in the gifted sixth grade class at Quitman Junior High. Kelly said enjoys teaching students in different age groups. "I get them when they are young and want to hug and hold your hand and then I watch them grow. Now all those sixth graders are taller than me," Kelly said. As the March Teacher of the Month, Kelly was awarded $1,000 in school supplies by the Golden Apple Partners in Education, a $500 tuition voucher, and $300 in cash. Martin will also be in the running for the teacher of the year award which will be announced on May 28. The winner will receive a $2,500 prize and a $2,500 scholarship for a graduating senior of the winning teacher's choice. Kelly said her joy for teaching comes from a love of learning and being able to challenge her students. The fact that she is going through the trauma of breast cancer has made the challenge extremely hard but the love and support from her students and her fellow teachers has given her a strong ally in her fight against cancer. In August 2014, Kelly was diagnosed with breast cancer on the first day of school. "We had the surgery and I was ready to come back but then they found more cancer than they originally thought," Kelly said. "I went through sixteen rounds of chemotherapy, which ended January 29. I was so excited. My students were so excited that I had finished. They threw me a 'No more chemo party.'" The party meant the world to Kelly.